Libby Huffer Appears on The Doctors! 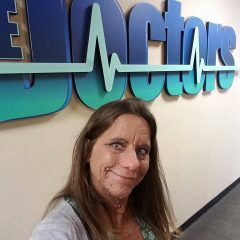 Our very own NF Midwest family member, Libby Huffer, appeared on an episode of the television show The Doctors this week! The Doctors is a talk show in which team of medical professionals discuss a wide range of health related topics. Libby flew out to Los Angeles in October to film the episode. The episode aired on Tuesday, November 22nd . Libby shared her emotional NF story and let the world see her body covered in neurofibromas. She also raised awareness for the cause and the struggles for better medical care for people with NF. 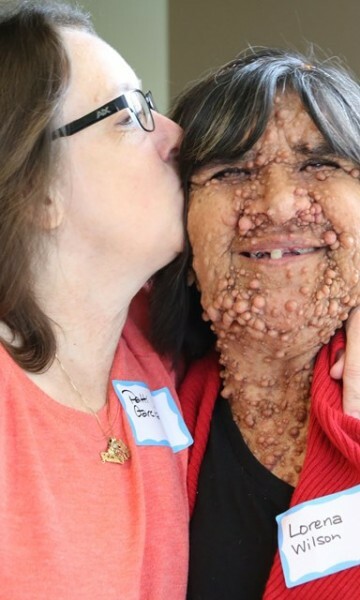 Libby is the administrator of the public Facebook group Faces of Neurofibromatosis which dramatically expands on NF Midwest’s Faces of NF brochure by allowing people from around the world share their “faces” and stories with the world. We congratulate Libby on her amazing work! Her story has now gone worldwide!! Watch Libby in the two part videos below. Thank you… it was very difficult to do but I was ready…. to scream awareness for NF because we don’t have enough tratment options or Physicians for NF. I created my nf page on FB to find others with NF. 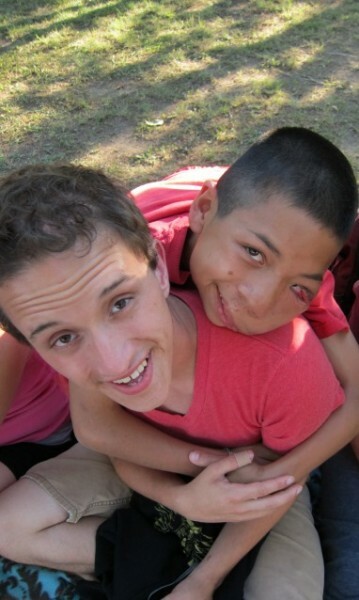 (Faces of Neurofibromatosis). You must have NF to be a mamber. Amazing cant wait to see it. In my area, it is airing on the CW. Some cities it airs on NBC. Check your local listings. I had electrodessication surgery Feb 2017 and electrodessication with additional fractional CO2 laser surgeries June 2017. I went to Beverly Hills, CA to see Dr. Ordon and his team for the surgeries. HI Libby, you look amazing and you are the same beautiful person you were before. my aunt has suffered this throughout her life. she goes through this every single day. Very relieved to see there is treatment that can help. Could you please give me the contact details for the Doctor so we can also pursue this treatment for her. she is very hopeful when I told her and she saw your clips as well. I am scared that I hope I am not giving her false hope. Hi thank you. I went to see Dr Ordon, Dr Chopra and Dr Funk in Beverly Hills, CA. God Bless you Libby! Best of luck. Many many prayers to you and the Drs!! Just saw your video fromThe Doctors. I too suffer from NF and would like to know more about the surgery. I have had a few surgically removed over the years but it would be a dream come true to have smooth skin. God Bless You!! Vickie, I’m sorry that we just received this comment. Electrodessication isn’t a miracle surgery that will leave your skin smooth but it MAY give you some improvement. If you’d like to sign up at http://www.nfmidwest.org/contact we can update you on any new news regarding this surgery in the future. How much smoother can my skin become? Mine on my face where they did the ED surgery twice with additional fractional CO2 laser worked well. 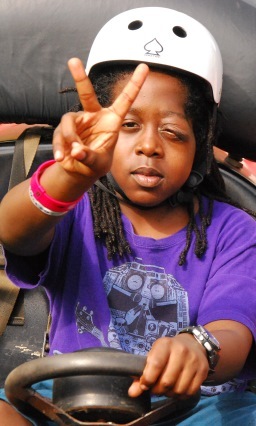 Please join our NF family page on Facebook (Faces of Neurofibromatosis). You have to have NF yourself or be the parent of a child under 18 yrs old to be a member. Everyone in our Family has NF or is a parent of a minor child with NF. Everyone is wonderful and very supportive! I started the page on February 12, 2016 with only 2 members, myself and my Mom. Today we are over 5,100 NF members worldwide! I have neurofibromatosis. No one on either side of my family has it so I’m pretty sure it was genetic mutation. Thank you for bringing this public. Some people think I’m just covered in moles. About 20 year ago I had 52 removed from the front of my body. God bless. I have a daughter who has NF. She is very strong minded but you can tell the NF especially in the face area is such a concern for her and shies away from anyone taking pictures and is just shy period. I feel for her every day and hope for a miracle for her all the time from our father in heaven. Hi Robert. 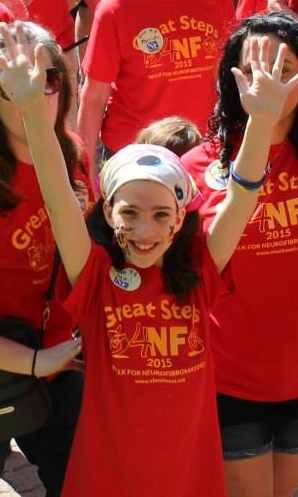 Please tell your daughter to join our NF family page on Facebook (Faces of Neurofibromatosis). You have to have NF yourself or be the parent of a child under 18 yrs old to be a member. 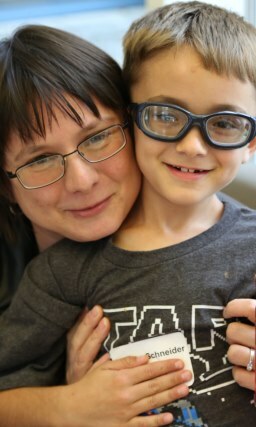 Everyone in our Family has NF or is a parent of a minor child with NF. Everyone is wonderful and very supportive! I started the page on February 12, 2016 with only 2 members, myself and my Mom. Today we are over 5,100 NF members worldwide! Libby, do you think you will undergo the surgery again to remove the tumors from other areas of your body? Also, with the tumors gone, do those areas still suffer pain, or does the surgery help with appearance only? I hope your pain is gone as well. Good luck to you in the future, and I hope a cure is found for you and others very soon. The ones that were removed weren’t causing pain other than the constant itching. My “painful” ones are located on my back and also on my spine. As far as having this type of surgery again I am looking into seeing about having the ones on my back done by a dermatologist in Indianapolis, IN. I am awaiting my consultation appointment. Thanks for the kind words. I’m on a mission. To reach EVERYONE with NF! I’m still on FB…find me.